Skip the long V-Day lines this year and prepare a nice, romantic dinner at home! 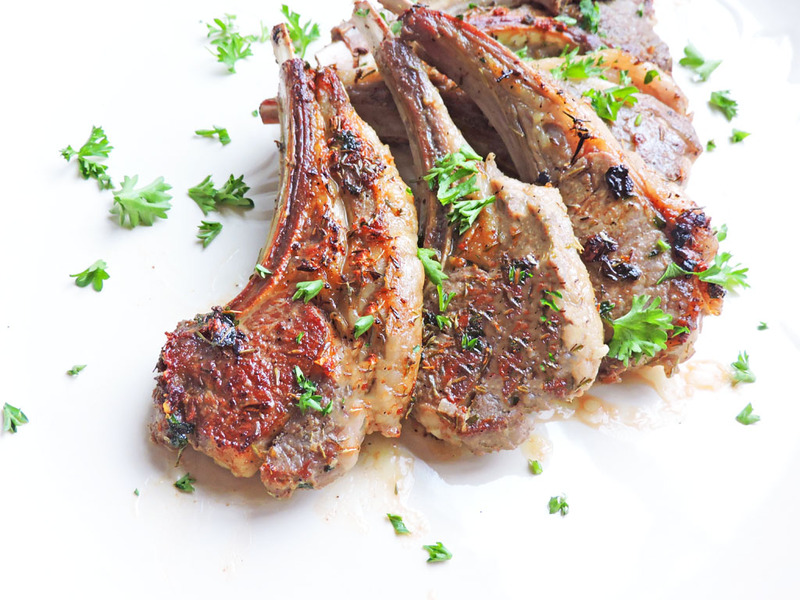 These Date Night Herb Crusted Lamb Chops are so flavorful and yummy! The PERFECT dinner for two! Is everyone getting ready for Valentine’s Day!! It’s only a few days away and I’m getting really excited! Besides Christmas, Valentine’s Day is one of my favorite holidays!! Ever since I was a kid, I’ve always enjoyed this special day! My mom would make us candy baskets and my dad would give us little heart-shaped boxes of chocolates! I would make sure that Valentine’s Day was special for my whole family; my hubby, my kids, and my dog lol! Before cooking the lamb chops, I mixed together my herb marinade and rubbed it over each chop. I let them sit in the fridge for about 30 minutes before cooking. 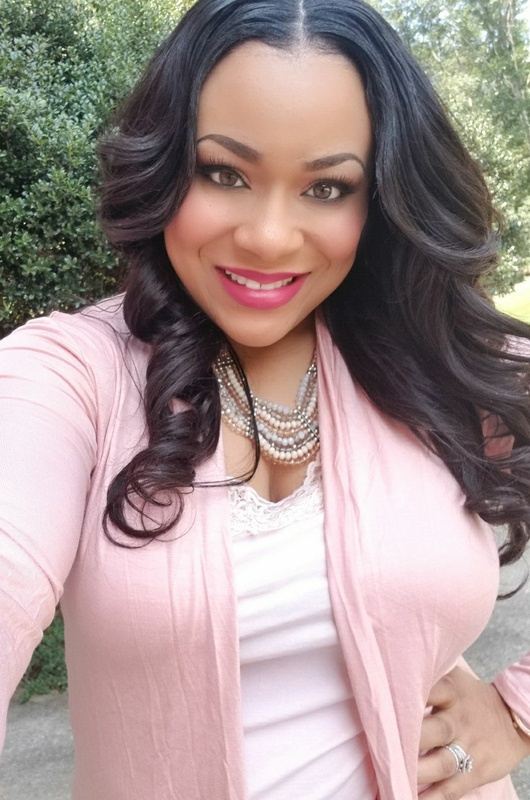 The results were AH-MAZING!!! Soooo good!! 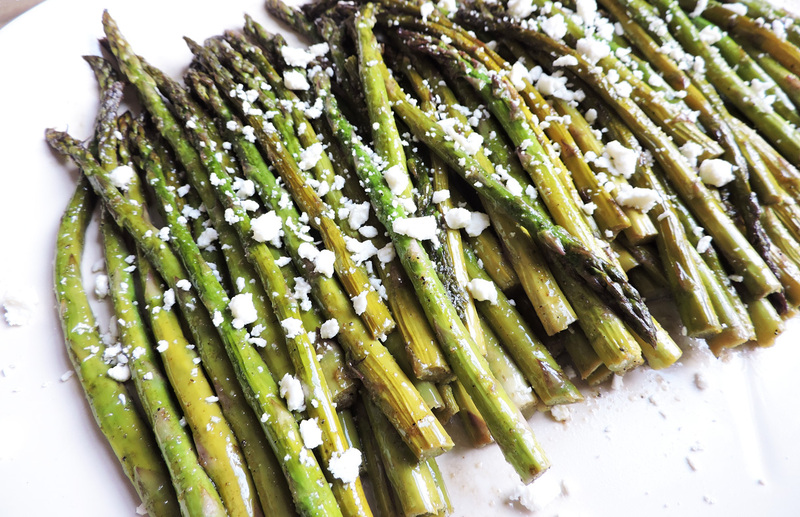 I chose to pair them with my Roasted Balsamic Asparagus with Feta! The combination was truly meant-to-be! I usually share all of my meals with the kids, but this time I wanted it to be something special just for me and my hubby! ? 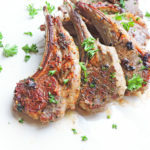 So go ahead….light some candles, pour some champagne, and enjoy these Date Night Herb Crusted Lamb Chops!! 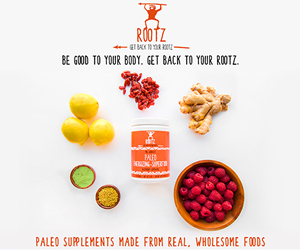 Be sure to follow me on Pinterest for more healthy recipe inspiration!! In a small bowl, combine olive oil, garlic, parsley, sea salt, thyme, and onion powder. Mix well and rub evenly over each lamb chop. 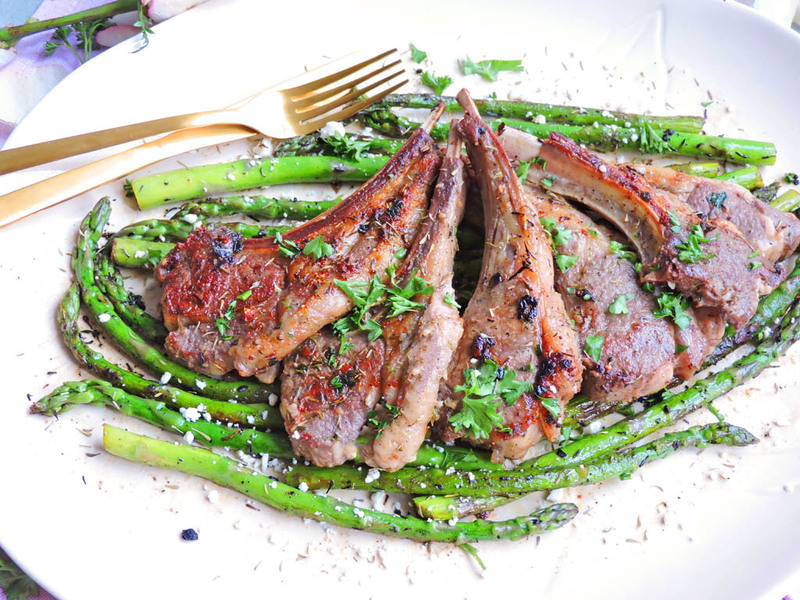 Place lamb chops in a medium baking dish, cover, and refrigerate for about 30 minutes. Heat a large skillet to medium heat and add 1 tbsp reduced fat margarine. 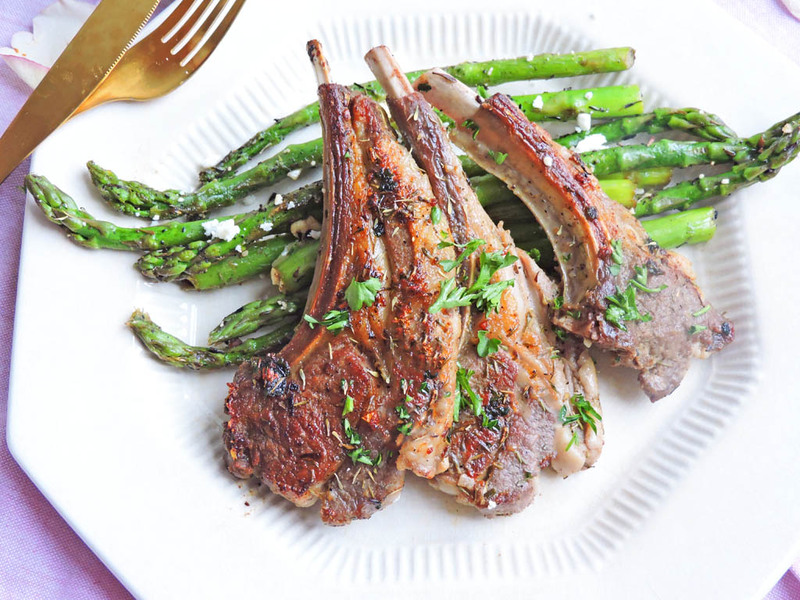 Add lamb chops to the pan and sear on each side for about 3-4 minutes, depending on thickness and desired doneness. Remember that the temperature will continue to rise as meat rests. Season with salt/pepper to taste. When done, pair with your favorite side item and enjoy! 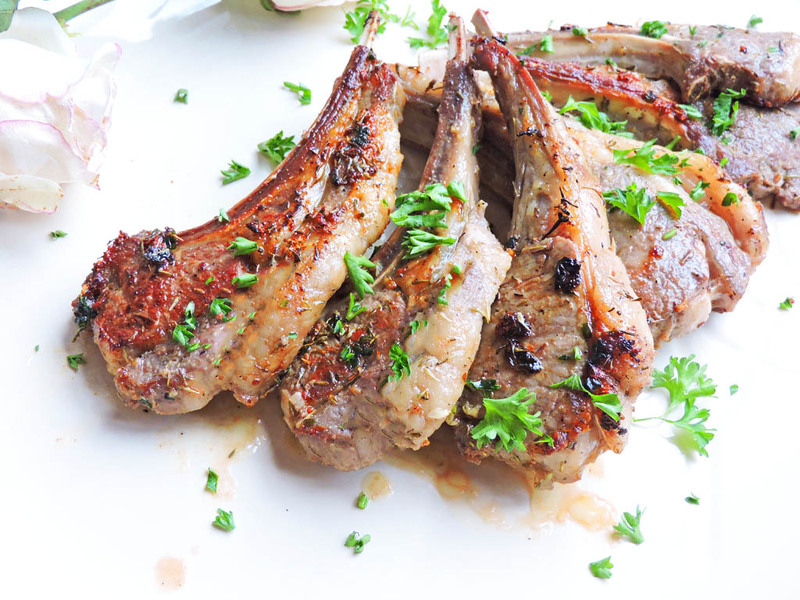 *The USDA recommends a safe cooking temperature of 145 degrees for lamb. Hi, these look amazing. I have a full Frenched lamb rack, would you just cut them into individual chops before marinating and searing? Thanks! I would recommend cutting them before marinating them! ?